The Chinook salmon is the largest anadromous species in the salmonidae family. The Chinook salmon is a Pacific Ocean salmon and variously known as the king salmon, blackmouth, black salmon, Columbia River salmon, chub salmon, tyee salmon, hook bill salmon, spring salmon, winter salmon, and Quinnat salmon. It is highly valued due to its relative scarcity compared to other salmon fish along the Pacific coasts. Chinook salmon has a blue-green on its back and silvery sides on the top of the head with white ventral surfaces. 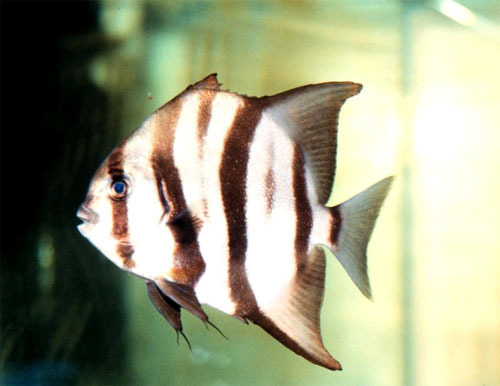 Its tail and upper half of its body has black spots while the mouth is dark gray in color. Basically, adult salmon range in size between 84 centimeters to 150 centimeters in length and weighing up to 59 kilograms. The Chinook salmon usually spend between one to eight years in the sea water before making the journey back to their home rivers to spawn. Unlike other salmon species, Chinook salmon spawn in bigger and deeper ocean waters. The spawning seasons for Chinook salmon is from September to December. After laying eggs, female guard its nests which called redds from the 4th day until 25th before its die while males seek another mates. 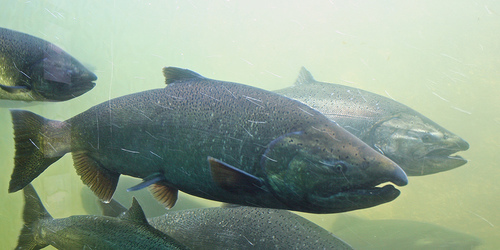 Male salmon needs other mates to keep on reproduce their Chinook salmon genes. After deposition, approximately between 90 to 150 days, Chinook salmon eggs hatch depending upon sea water low temperature. Eggs deposits are timed to protect young Chinook salmon during a proper season for survival and growth. Fry and parr usually stay in fresh streams water for 12 until 18 months before migrating downstream to estuaries where they remain as smolts for another several months. 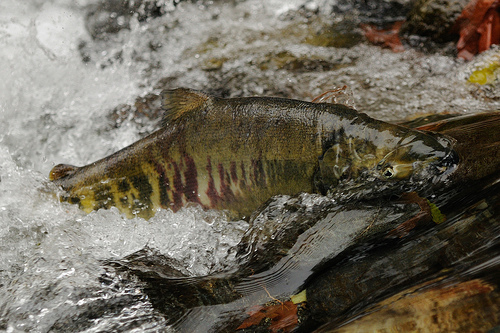 Chinook salmon require a healthy ocean habitat. Juvenile salmon can only grow in clean, productive estuarine environments while gaining the energy for migration. 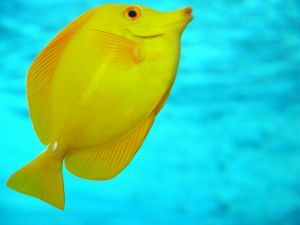 Adult fish still need a rich, open sea water habitat to acquire the strength that is needed to migrate back upstream or escape from predators, and also to reproduce before dying. Chinook salmon need to have these foods such as plank tonic, kelps, diatoms, jellyfish, seaweeds and starfish in order to survive. Just like its other salmonid species, chinook feed on amphipods, insects and other crustaceans while they are young, and primarily on other fish when older. Younger salmon feed in streambeds for a short time until they are strong enough to travel out into the wide open ocean and acquire more foods. 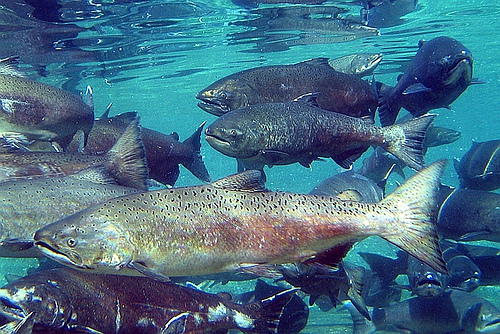 Chinook juveniles divide into ocean type and stream type. The ocean type Chinook migrates to salty water in their first year while the stream type would spend one full year in fresh water before travelling into the sea. After a few years in the ocean, adult salmon would be big enough to escape from predators, return to their home streambeds to mate. More northerly populations of Chinook salmon tend to have an extended lifespan where they can live longer until the age of eight.